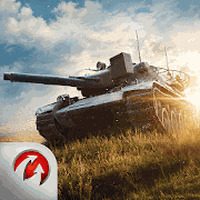 "Get ready for blasting action in your armored tanks"
Game Goal: The popular PC war game, World of Tanks, comes to Android devices with various missions and maps ready to entertain you for hours. How to Play: You need to carry out strategic attacks to complete different missions. By winning the battles you can unlock new maps and tanks which are inspired by iconic vehicles from Germany, Britain, the United States, and the former Soviet Union. 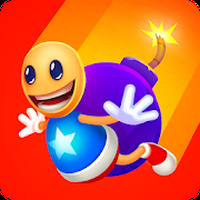 Game Options: It is a multi-platform online multiplayer game (iOS and Android). Graphics: Features more than 10 maps, with scenarios inspired by war environments. The graphics have a nice texture and finish. Game play: Intuitive and addictive. Controls: The game commands are intuitive, the user only needs to touch the screen to move the tanks and shoot. Developer: Wargaming SEA is based in Cyprus	- Trusted, high-quality developer. Installation requirements: A minimum of 60M of free memory space and Android 4.0 or higher. It has more than 100 options of tanks. It is a multi-platform, and online multiplayer game. It offers a detailed tutorial. The latest update makes the game crash frequently. 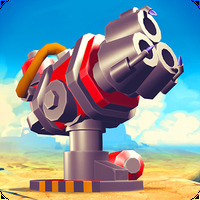 Do you like World of Tanks Blitz?